I made this Essence of Earth farming guide to help out players who want to farm the essences instead of buying them from the Auction House. This is a level 60 raid instance, so lower level players can't farm here. Molten Core is the best place to farm Essence of Earth if you only need like 3-4 Essence of Earth, but if you need more, you should go to Winterspring. What makes Molten Core good is that 2 bosses drop Essence of Earth every time, so you get two guaranteed drop, but you can only kill them once a week. Basically, you will kill Garr and Golemagg the Incinerator, while also killing the trash mobs between them. The fire elementals and the core hounds don't drop essence of earth, but every other trash mob have 6% chance to drop one. 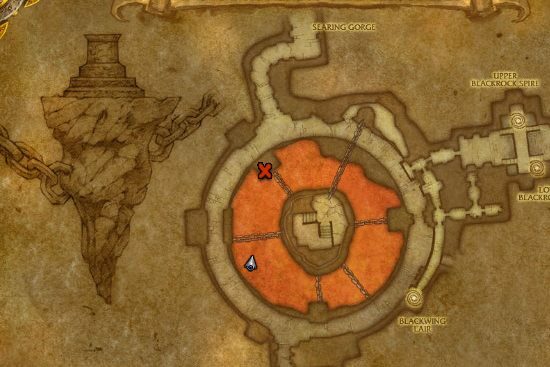 How to get to Molten Core? 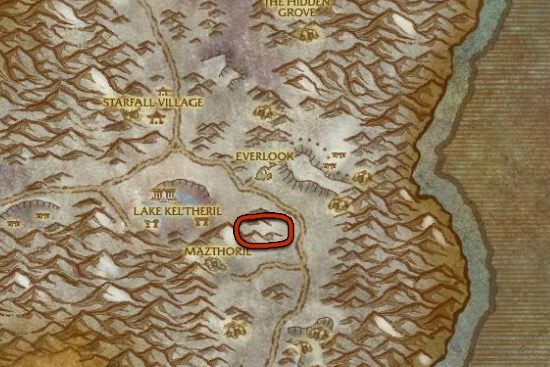 Molten Core is located inside Blackrock Mountain which is a zone in Eastern Kingdoms between the Burning Steppes and the Searing Gorge, linking the two regions. You can enter from both zones, you'll have a partially open doorway, enter and follow the tunnel, when you come out you'll be in a large central chamber with lava in the bottom and a central rock chained to the sides. Fly down to the location marked with X on the map. To enter the instance, you have to talk to Lothos Riftwaker, he will teleport you to Molten Core. Winterspring is also a really good place, and it's the best if you need more than a few Essence of Earth. You will find a lot Frostshard Rumblers on a mountain below Everlook. The respawn rate is really fast, so you will never run out of them. It's a bit annoying to farm here, because the mobs are on a mountain and you have to run up and down, but this is the only place where the respawn rate is fast enough that you can farm without downtime. They have the same drop rate as the Molten Core trash mobs have, around 5-6%.